The following email went out to affiliates of NeedLive adult webcam site today. Cloaked in wordplay, make no mistake about it “will be incorporated into LiveJasmin” simply means the NeedLive site is folding operations as a cam site. In it’s place their putting another white label site up since their cam site failed. RIP NEEDLIVE…a glorious waste of time. As of the 1st of December, the industry leading Livejasmin.com engine will be incorporated into Needlive.com. 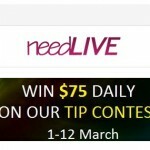 Besides the technological upgrade, Needlive.com will also get a new look and feel to meet the standards of today’s sites. In conjunction with these changes, please register your account with Adult Webmaster Empire (awempire.com) to be a Webmaster, where you have the chance to earn up to 60% commission. As a result, you will enjoy the benefits of the largest adult website network, thousands of promo tools and a full-fledged white label editor. Needlive.com will operate in its current form until the 30th of November. All your earnings through the NeedLive webmaster program in November will be calculated and paid between the 1st and 5th of December. If your balance is less than the minimum payout limit ($100) we can still send your payment but only if you request it within 90 days of the 1st of December. Please make sure to set your payment option in time if you have not done it yet. In case of problems, please do not hesitate to contact Adult Webmaster Empire at the following e-mail address webmaster@awempire.com or at www.awempire.com. 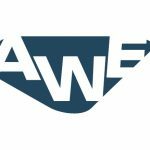 EDITOR NOTE: The following post has NOTHING TO DO WITH LIVEJASMIN or their affiliate program called AWE which is a great platform and site. It has everything to do with shady emails to affiliates. We call them like we see them and this is pretty clearly not a transition, it’s a fold.